Take a deep breath and ease your mind of the struggles consuming your brain; focus on the simple things of here and now. 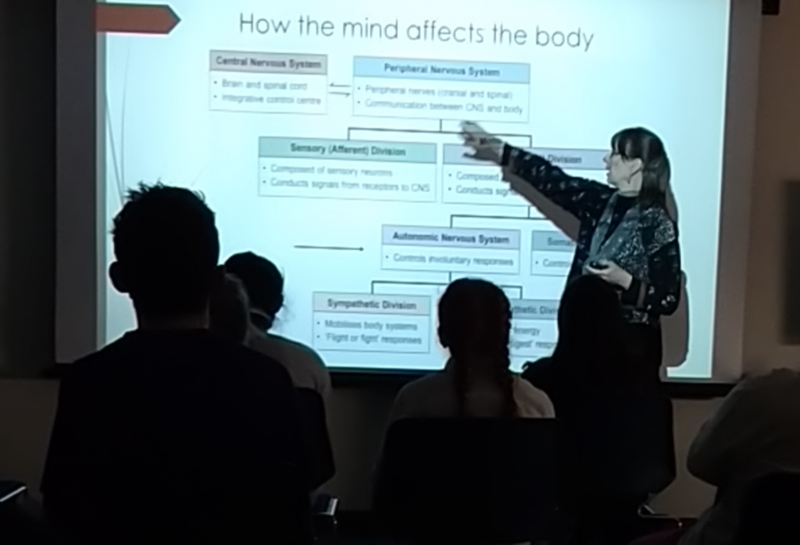 Now open your eyes and hold a taste of the experience that the Yoga Therapist Valeria Balogh gave the teens during our latest Teen Science Café. 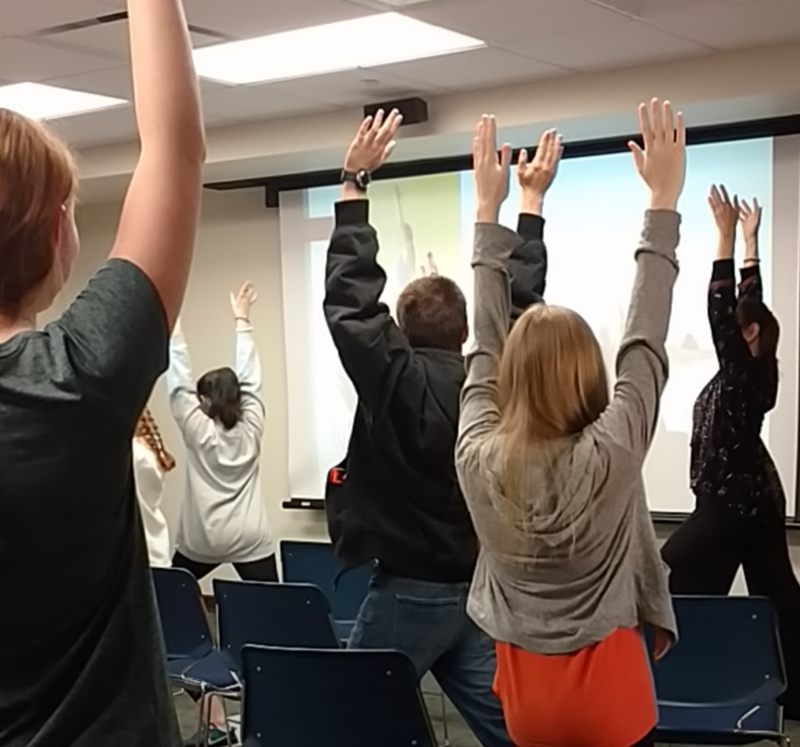 After diving into the neuroscience behind yoga and meditation, Therapist Balogh led the teens through a few simple, yet challenging yoga poses. Mindfulness is the mental state that one can achieve only by focusing entirely on the present moment. The state of mindfulness can reap several benefits. Not only can it fight off depression, but it can suppress anxiety, memory loss, and PTSD, along with improving thought patterns, regulating emotions, and more. As well as mental benefits, there are just as many physical benefits: it fights chronic pain, reduces the risk of heart disease, lessens cold and flu effects, improves sleep, aids in weight loss, and much more. Although many people scramble throughout the day to find time for themselves, yoga is fairly simple to add into your daily lifestyle. With a five minute meditation break, you can reap the benefits given by both meditation and yoga. 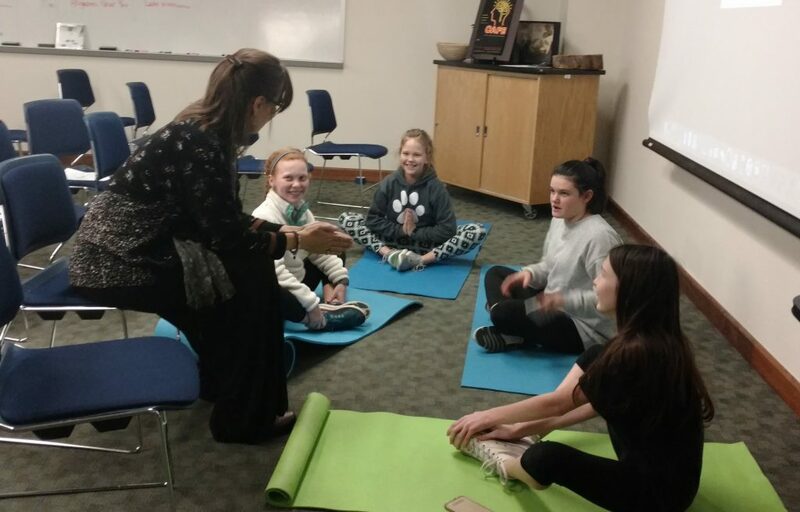 If you would like to incorporate meditation into your life, then follow these simple steps that were given by Therapist Balogh. Take a moment to step out of reality and sit up straight. Close your eyes. Take deep comfortable breathes and focus on your breathing. Once you feel yourself starting to relax, loosen your joints. Relax your jaw, letting your tongue drop from the roof of your mouth. Breathe through your stomach and not your chest. Start focusing on the present: your breathing, the movement of your stomach, your heartbeat, the pulse running through your body, the texture of your clothes, and the sounds around. Don’t think about the outside world, but feel the world around you now. Now, open your eyes and smile. If you have just followed these simple actions, then you have successfully meditated. Merging this action into your daily lifestyle will improve your way of life, whether you practice it during the mornings or in the evenings before you go to sleep. 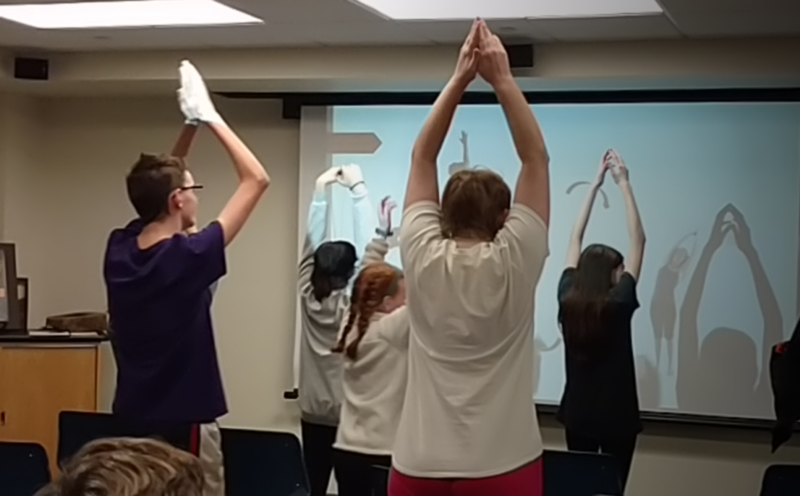 With our teens relaxed and relieved of their daily stresses, they left that night with a better way to start their days and a new method to combat stress.